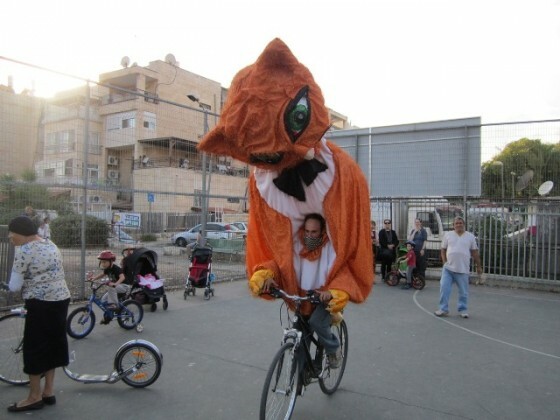 Jerusalem’s Festigalgal bicycle riding festival winds up next week with emphasis on using bicycles more for in-city transportation. The annual festival has in the past included such dignitaries as the city’s mayor, Nir Barkat, as a participant in the month long event’s finale “Ride a Bike to Work” day which this year will be held on Sunday, October 27. “The event has become increasingly popular in this city; and we are happy to be a co-sponsor of the event,” says Pnina Kaplan, who works for the Jerusalem branch of the Nature Protection Society, a co-sponsor of the event. Last year around 400 people registered for the event, held on March 30, 2012. “As it turned out, more than 4,000 showed up on their bikes to participate; and we hope to have more turn out this year,” says Yonatan Plitman, one of the event’s organizers. He added that the event is used as a way to reach out to the community in order to encourage more people to consider using bikes as an alternative way to get around the city. To encourage people to register, the first 300 people to register for next Sundays bike riding day will be given a free T-shirt commemorating the event. The Festigalgal event itself has included special events like parades in parts of Jerusalem, including the Nehorai neighborhood, near the city’s Valley of the Cross. “All kinds of people become involved in the event, especially those like high tech people and students. The events also get people involved who are living the neighborhoods where they take place; and a lot of people work at the festival as volunteers,” says Plitman. He tells me that the Jerusalem municipality could do a lot more to improve the infrastructure in the city and “connect” to bike riders; including providing more bike paths and by allowing bike riders to take their bikes on public transport vehicle, like buses and the light rail train system, during non-peak usage hours. “Tel Aviv (a city where many people ride bicycles) also has an infrastructure problem when it comes to bike riding,” says Plitman. Many cities abroad, including the American city of San Francisco, appear to do a lot more to encourage people to ride their bikes to work or for pleasure. 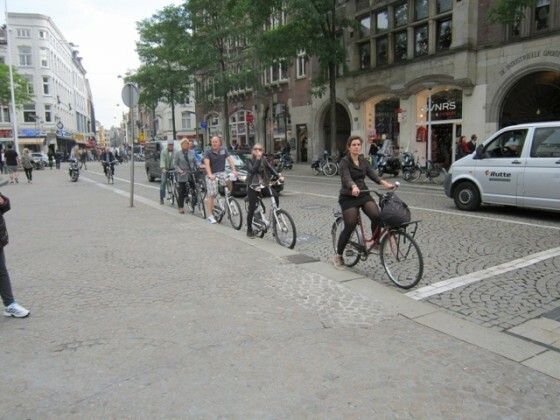 Plitman thinks that it will be a while before bike riding in Jerusalem becomes as popular as it is in European cities like Amsterdam, however. Those wishing to register for this years Ride a Bike to Work day can still so; and perhaps receive a free event T-shirt as well, via the following link.